Chicago Airport Limo - Stress-Free Travel to Chicago O'Hare and Chicago Midway - Top Fleet Limo. A Chicago Limo Service. 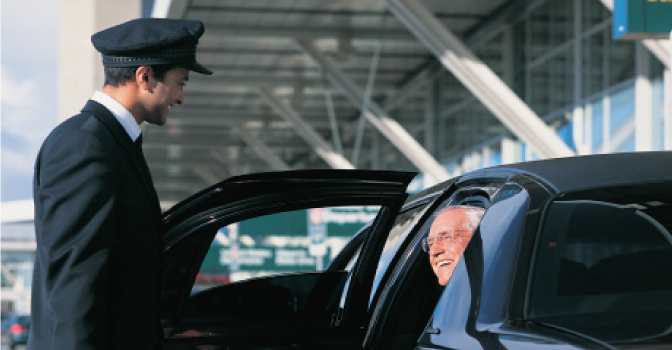 Safe and reliable Chicago airport limo to and from O’Hare and Midway airports. Top Fleet Limo provides safe and reliable Chicago airport transportation to and from Chicago O’Hare and Chicago Midway airports. We can provide both curbside and traditional baggage claim “Meet & Greet” service upon your arrival in Chicago. Our airport limo service and black car service to Chicago airports can accommodate individuals as well as groups of any size. Choose from a variety of vehicles in our fleet including luxury town cars, SUVs, stretch limos or shuttle vans. Top Fleet Limo understands you’re busy so you can leave the details to us. Our drivers are professional, courteous and private. Whether you’re just relaxing in one of our luxury cars or conducting business during your ride, you’ll enjoy a comfortable environment with the peace of mind that your information will be kept 100% confidential – guaranteed. Need a Carseat for your Airport Transportation? We offer car seats, infant car seats and booster seats for children. Each car seat is $15 per trip per seat. When scheduling your trip with us, online or by phone – just add your needs to the notes section or give details to the agent helping you. We can accommodate your family’s needs with a safe and comfortable ride for everyone.